STUDENTS of the University of the Philippines need to do a lot of studies and research as well as fulfill extra-curricular activities and other projects. 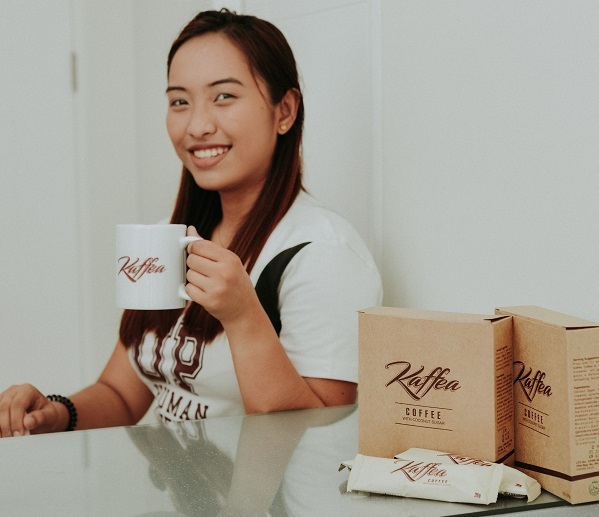 UP BS Chemical Engineering student Alyssa Ramos – who is UP Oblation Scholar and DOST-SEI Merit Scholar – relies on Kaffea coffee to give her that extra energy as well as beneficial ingredients for her health. The interaction of the 10 essential ingredients of Kaffea, help in weight management and prevent obesity. Alyssa has been a regular Kaffea for years. “I first sampled Kaffea sometime when I entered university. It was during my first year in UP (2015) that a relative recommended the product for me, especially since I love to drink coffee to help me stay up during late nights,” said Alyssa. It was a case of love at first taste for Alyssa. “I instantly fell in love with its creaminess and it having just the right amount of sweetness. It is a very well-balanced treat in terms of flavor and nutritional content. Also, knowing that it is a healthier alternative to other brands of coffee made me drink it regularly without any guilt whatsoever,” said Alyssa. Kaffea has been Alyssa’s constant companion for the past years. “I have been drinking Kaffea since my freshie year, so around three years. I usually drink during mornings to help wake up my senses and get my day started, as well as during evenings and late nights when I have to stay alert and focused while studying,” said Alyssa. The UP student loves Kaffea both for its creamy, delicious flavor but also for its nutritious ingredients. “Kaffea is my favorite brand of coffee. Its overall taste and formula is very suitable for me. It is delicate and creamy, not too strong or acidic but keeps me very much alive and awake when needed. This is actually very appealing, since when hearing the term ‘herbal coffee,’ one would think that it would not taste as good as “regular coffee”. Kaffea breaks that paradigm, providing tremendous amounts of health and nutritional benefits while still delivering in terms of taste,” said Alyssa. Kaffea has 10 essential ingredients which are beneficial to health and wellness. Even diabetics and those with heart conditions can safely drink Kaffea. “Our family actually has a history of being diabetic, so we monitor sugar intake very carefully. Thankfully, Kaffea provides just the right amount of sweetness with its coconut sugar and coconut cream, and even improves blood circulation. It is a healthier alternative, even contributing to the regulation of blood sugar levels and cholesterol levels,” said Alyssa. Kaffea is nutritious and beneficial especially for students with hectic schedules. “Sometimes as UP students, we don’t have that much time to monitor our diet. We also have numerous sleepless nights working for both academic requirements and extra-curricular deliverables. Drinking Kaffea, it provides essential nutrients and minerals that keep me well and healthy despite some of these hardships,” said Alyssa who spends her spare time reading books, singing, playing the guitar or the piano, swimming, watching Anime, reading Manga Fan and participating in Rhythm Games. Alyssa is part of UP ALCHEMES (University of the Philippines Academic League of Chemical Engineering Students Inc.). She organizes research fairs, academic reviews for ChE students, chemical engineering student summits, charity work and also with the ESC (Engineering Student Council). “I was recently elected as a ChE Representative to the Engineering Student Council (ESC) for school year 2018-2019. As ChE Reps, we are tasked with taking care of the needs of ChE students as well as representing them to the whole engineering student body. We organize events, entertain questions and concerns, and monitor the welfare of the Department of Chemical Engineering. We also spearhead social campaigns and projects regarding local and national issues,” said Alyssa. The UP student and Kaffea coffee are perfect together. Alyssa is a bright, hard-working individual who excels in every field she takes part in. Kaffea provides her with the energy and beneficial ingredients which help her maintain her busy and demanding lifestyle. Kaffea is available nationwide at Rustan’s, Shopwise, SM Hypermarket Bazaar, SM Market Street, SM Kultura, CityMall GoLokal stores, and online at beautymnl.com. and lazada.com.ph. Or call telephone number 477-9920.